We have a double reason to celebrate, as two of our products have been formally recognised by the construction rental industry. Their energy saving H20 Solar Pod has been shortlisted in the ‘Rental Product of the Year’ category in the forthcoming European Rental Awards. The H2O Solar Pod (Patent Pending) combines solar PV with a back-up generator and large water tank, providing all a sites needs in one sustainable product. AJC have put lower carbon emissions at the heart of this product’s development. It significantly reduces fuel bills by harvesting the suns energy to provide free power to site with the security of a back-up generator. The unit is fitted with AJC’s unique Ecosmart system which seamlessly transfers power between solar, battery and generator. The unit delivers 30kw power output. The European Rentals Awards are the pinnacle of the European rental markets. The winners will be announced at a glittering ceremony on the 15th May in Madrid, Spain. The EcoSmart ZERO (Patent Pending) is our revolutionary mobile site welfare unit that produces ZERO local CO2 emissions. 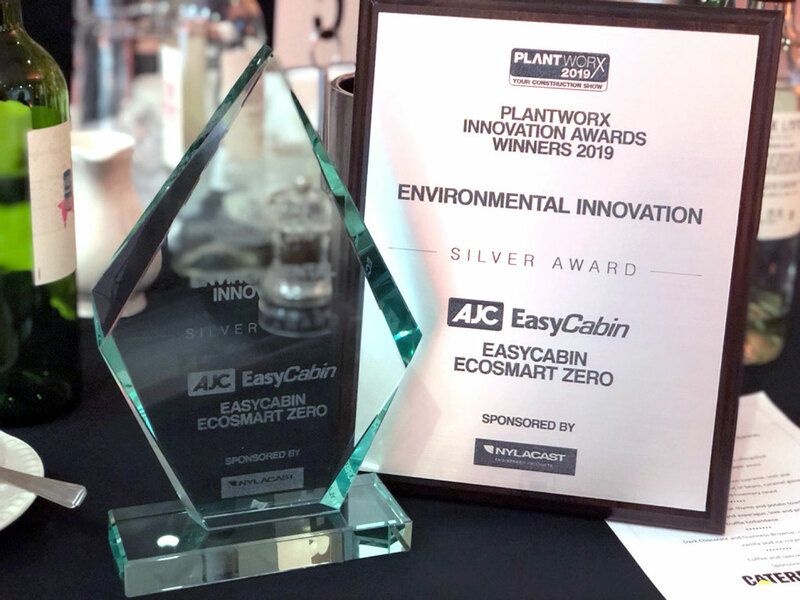 This forward-thinking product scooped a silver award at this year’s Plantworx Innovation Award Winners 2019. 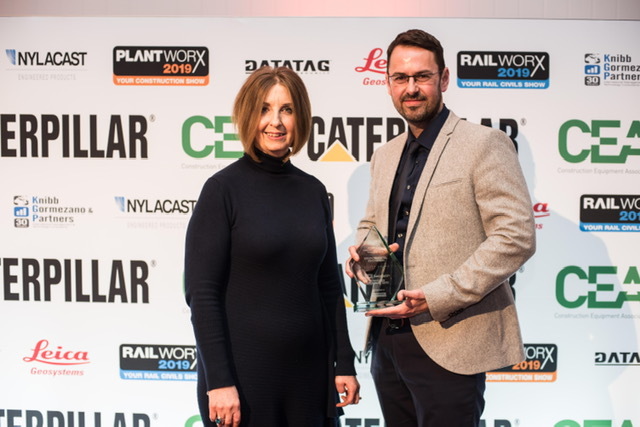 The award was presented to AJC’s sales director, Lisa Gillett and their operations director, Simon Fletcher. The EcoSmart ZERO is powered by a combination of a hydrogen gas powered fuel cell and an advanced solar power system. This means the unit operates almost totally silent and emits only pure water vapour. The Ecosmart ZERO range has been designed to have the same user friendly operation as the standard Ecosmart welfare units, with power to run the heating, sockets, kettle and microwave coming instantly from the battery bank. The batteries are constantly fed by the built-in hydrogen fuel cell and solar panels.